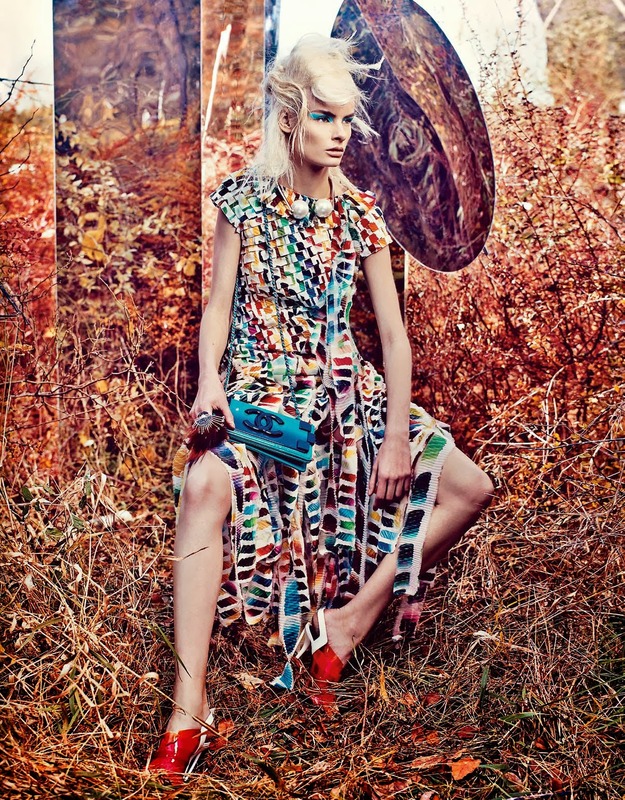 W Magazine delivers an aspirational line-up of models for a stunning editorial in its February 2014 issue. 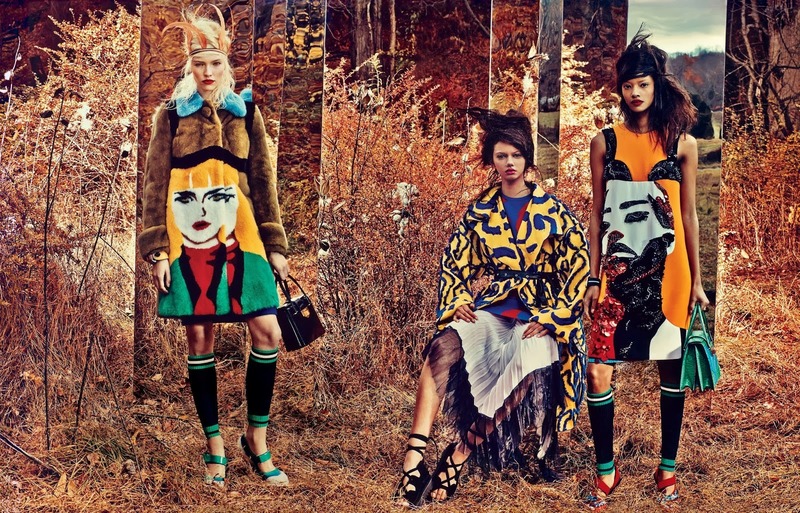 Called "Field Day", the Craig McDean-lensed editorial features a stellar cast of jaw-dropping beauties including Sasha Luss, Malaika Firth, Irene Hiemstra, Juliana Schurig, and Marina Nery. 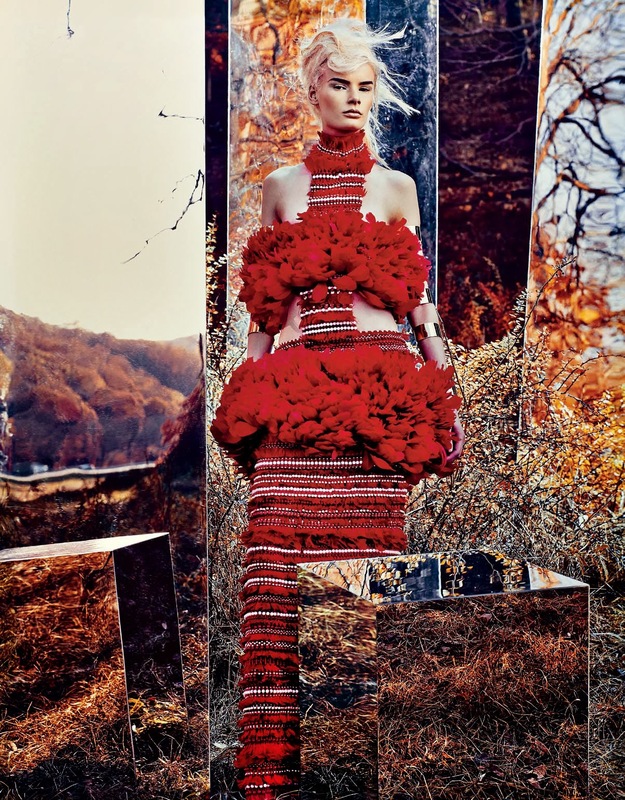 Fashion and style director Edward Enninful interweaves the magical designs of Prada, Alexander McQueen, Givenchy, Chanel, Roberto Cavalli, and Louis Vuitton amidst a mirror reflective bush backdrop to create a surreal otherworldly effect. The genius of this editorial also lies in the perfect casting of modelling's most fascinating new faces from the wide-eyed innocence of Malaika Firth, to the self-professed "angry bird' extreme beauty of Irene Hiemstra, and the elfin doll-like expression of Sasha Luss. New Jersey native Schurig imbues the editorial with her 'too cool for school' modern take on American beauty while the inclusion of baby-faced Brasilian newcomer Marina Nery brings an element of surprise to the proceedings. Adding to the overall dramatic effect is the striking eye make-up artistry and the tufted nest-like hair creations courtesy of Peter Philips and James Pecis. The stark natural forest setting serves to magnify the spectacular beauty of the five newcomers featured and the brilliant designs from the Spring/Summer 2014 collections.